As I was searching for Father's Day gifts and I found these two items. Both perfect for football and sports fans. I could definitely see the leather sports balls displayed in a home office or den. The leather is from vintage cigars and truly is a work of art. I love that the koozie can be monogrammed. 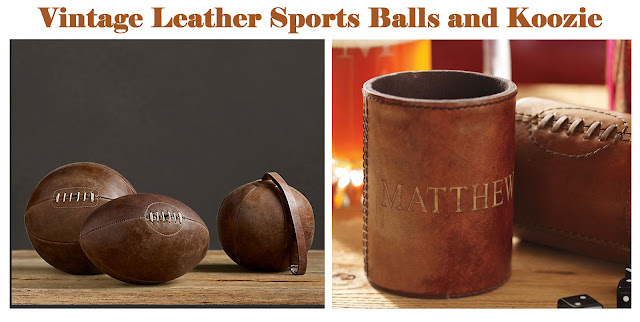 Vintage Leather Sports Balls sold by Restoration Hardware for $79 each. Football Koozie sold by Pottery Barn for $12.50.